Since the decision of the Israeli occupation to shut down the Karem Abu Salem crossing, the Madina Factory for Soft Drinks tried to find an alternative plan to keep its production line going, but all its attempts did not succeed, until the factory stopped working completely. 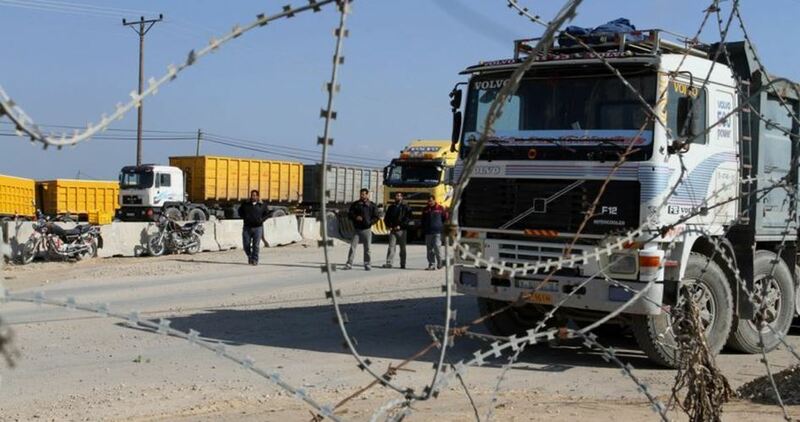 Ahed Mahdi, the factory’s public relations director, told the PIC: “The factory closed its doors effectively five days ago.” He expressed his regret over the decision to shut down the Karem Abu Salem crossing and the occupation’s ongoing practices of preventing the entry of raw materials. He pointed out that about 90 workers who support their families by working at the factory had to join the ‘army of unemployed’ in Gaza, explaining that there is a clear targeting of national factories. “The Israeli occupation does not mind allowing basic goods and supplies from Israel and other foreign companies, in light of its refusal to allow raw materials into Gaza to be used by national factories, which confirms the targeting of our industry and national factories by the Israeli occupation,” says Mahdi. Mahdi pointed out that the factory, founded in 2005, was subjected to semi-total destruction in 2008, and a total destruction in 2014, indicating that the occupation was placing conditions on allowing raw materials to the Gaza Strip, especially soda and other materials needed to run the factory, preventing it from functioning completely following the closure of the Karem Abu Salem crossing weeks ago. The Madina factory runs three lines of production of soft drinks, two lines of 330 ml, a third for filling one and two liters bottles. It also has a line to fill mineral water (one liter and a half), noting that the Gaza Strip is one of the areas that consumes soft drinks, especially in the months from June to October. He pointed out that during this time of the year, the production lines are all operational, and a line might have two shifts to cover the demand, while a line or two function throughout the year due to the lack of demand. Economic expert Mohammed Abu Jiyab warned of Gaza’s unprecedented economic collapse as the costal enclave is suffering from a shortage of basic and financial resources and a sharp drop in cash flow. Abu Jiyab explained to the PIC that the Gaza Strip is exposed to the drying up of money available, pointing out that dozens of factories closed and pushed their workers towards ‘the armies of unemployed’, while the remaining factors are under the threat to close due to accumulated crises. He also warned of the beginning of a shortage of some basic commodities in Gaza due to the siege on the one hand, and the inability of the owners of capital and companies to import these materials and the lack of liquidity and the low purchasing power of the citizens of Gaza which hit the lowest level. He added: “We are heading towards a sensitive and dangerous stage, and I expect that there will be a comprehensive collapse in the Gaza Strip, if quick solutions to its crises are not reached,” pointing out that this foreshadows a major and near explosion.